22 februari, 2012 Säg något! 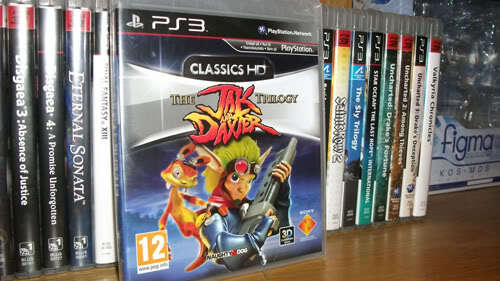 I’ve gotten my hands on Jak and Daxter Trilogy! I have wanted to play these games for such a long time, but never really had a chance. Well, that’s not entirely true, but it would have a bit bothersome. Either way, I have them now and I am looking forward to sink my teeth into the games. Which I’ll do as soon as this post has gone up. And Tales of Graces f is preordered and I’m just waiting for it to be released and shipped. Good god I’m so eager to play that game! Final Fantasy XIII-2 is okay, not much more. At least that’s what I think now, so I really need a game like TOGF. I’ll see if I have the interest to finish FFXIII-2 one day. Perhaps when there is nothing more of interest for me to play, so I guess its good to have a backup game for such a time.